Summer is now over, and autumn - my most favourite season ever - has begun. This weekend is also our first wedding anniversary! 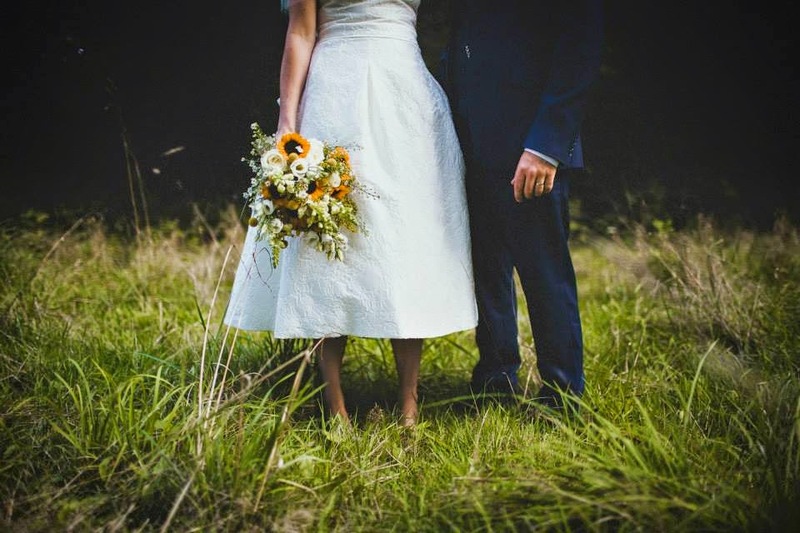 The most popular months to get married are June, September and October as the weather is seemingly perfect at the start of the summer or autumn. And the weather is just one of million and one things that need to be thought about when deciding on when to get married; it's most likely that it will heavily influence the style of the wedding, so you need to bear this is mind when deciding what you want your wedding to look like. The autumn season boasts some of the most impressive scenery we will see at any time during the year and by having your wedding then, you can take full advantage of it! The blooming trees with yellow and orange leaves create the perfect backdrop for any photo or ceremony, with the annoying sun glare of the summer nowhere to be found. It is hard to deny that nature makes autumn an even more romantic place, the perfect time to declare your love for one another. Choose a venue where you can have an outdoor ceremony or a nice area to take photos and have drinks to fully take advantage of the majesty of autumn. Finding the perfect venue can be quite hard, use the Wedding site directory to make it easy and then write down all the things you need to do on your to-do-list. You can even track your budget with the other helpful tools available. Autumn also brings about a period of unprecedented good weather that is just as good as the summer, without all of its inconvenience. The crisper weather is still more than warm enough to be able to have an outdoor ceremony, but ensures the groom and groomsmen aren’t sweating buckets beneath their suits. The heat is welcoming instead of overbearing, and giving guests’ blankets to snuggle up in during the later months of autumn will add to the cosiness this season already offers. This allows brides to go for the strapless dress they've always dreamed of wearing, accompanying it with a stylish cashmere wrap or cardigan in the evening when it’s a bit colder. A great deal of mouth-watering dishes are associated with autumn wedding menus, with enough space to be creative and ensure your menu stays unique and interesting. The long-time favourites of roasted chicken, hog-roast and fillet will do well here, as well as more seasonal options such as pumpkins and apples. The more seasonal foods can even be included in the design of the wedding to create a more rustic feeling. Apple name cards on tables give a unique way to let people know where they are sitting and pumpkins can be incorporated into a great deal of autumn wedding designs. You could start off with some soup, their warmness and heartiness make them a suitable option for any autumn wedding; add some crusty bread and butter to become a favourite amongst your guests. After the meal you can even have a bonfire to mark the end of your perfect day which your guests can huddle around to keep warm and toast some marshmallows. In between courses offer your guests hot drinks like spiced apple cider or mulled wine to truly embrace the autumn. Autumn brings with it great food, weather and scenery and these all combine to create the perfect wedding style pallet for any bride and groom. The orange and yellow leaf-strewn pathways, scrumptious looking apples and pumpkins and crisp, sunny mornings combine to create a rustic, cosy feel that everyone will love; bride, groom and guests alike. The style pallet available for summer weddings is popular indeed, but no season has a style as popular as that of autumn. The natural look is a great path to go down, with shades of earth tones gracing the colour scheme. The list of in-season flowers is the longest of any month, with the natural textures and colours of the seasons combining to make some fantastic bouquets for the bride and bridesmaids. Although still one of the premier and most popular times to get married, autumn months (October and November particularly) tend to be a less expensive time to have a wedding in comparison to the summer. The summer months of June, July and August are some of the most popular months to get married in and so hold the biggest price tags with the average wedding costing over £24,000. It is therefore a good idea to save money anywhere you can; another reason to get married in the slightly cheaper and far superior autumn.